Celebrate Education/Educación (#CelebrateEDU) is a Los Tweens series promoting celebrating the accomplishments our children achieve in and out of the class-room. This post is the final in a 3 part series sharing the insights of the amazing female employees at Ford Motor Company – our series sponsor. I’ve adored Sheryl Connelly since my first trip to Dearborn, Michigan. As Ford Motor Company’s “Futurist” she is charged with the difficult task of predicting the future – sort of. It’s her job to look at trends and advise the engineers, designers and executives on what’s “next”. 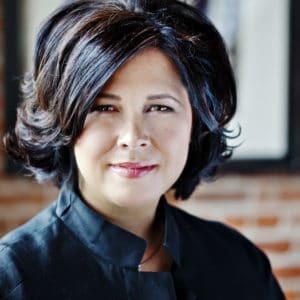 When I sat down with Sheryl after her keynote presentation during Niche Parent Conference, I realized that Sheryl’s background and approach to raising her own tweens is probably just as interesting as her job. And, inspiring for all of us. Katherine Doble (KD): There’s no college degree that prepares you to become a “futurist” so how did you end up going down this path? Sheryl Connelly (SC): I grew up during the recession so when I started college I decided to pursue a degree that made me the most marketable. At the time, I thought it was finance. When I finished undergrad, the markets still weren’t that great so I went to law school and pursued my MBA. KD: Wow, three degrees! Where do you go from there? SC: I practiced law for a little while and realized that it really wasn’t for me. Growing up in Michigan and always respecting Ford, I applied for a position whole-selling cars to dealers around the country. I learned a lot! I learned about relationships, how to listen, how to read body language and understand what’s important to a person. Then about 10 years ago, I applied for the Futurist position. KD: Did you ever have any moments growing up where you were told because of your gender to explore a different path? SC: My high school career planning results said that I should be a beautician or cosmetologist. KD: As a mom of tweens, is there anything you do to encourage them to explore STEM careers? SC: I believe in giving children challenges. I’ll work on projects with my tweens and encourage them to solve problems. Instead of asking my tweens how their day was, I ask them, “What questions did you ask at school today?” Another thing that my daughter and I love to do is share TED talks. We email each other our favorite TED talks and then discuss them. I left the interview with Sheryl realizing that much of what inspires me. Blog posts, articles, TED talks, videos and more would also inspire my tween. Sheryl said, “It’s about the small things. Those make the biggest impact.” I couldn’t agree more. Celebrating education is about celebrating the small things. 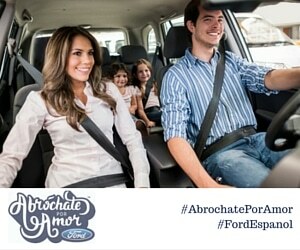 Like Ford En Español on Facebook to learn more about Sheryl and the teams great work. This entry was posted in Teaching & Education Tips and tagged CelebrateEDU, education, encouraging STEM, Ford, Parenting, parenting advice, Parenting Tips, STEM, Tweens. Bookmark the permalink.